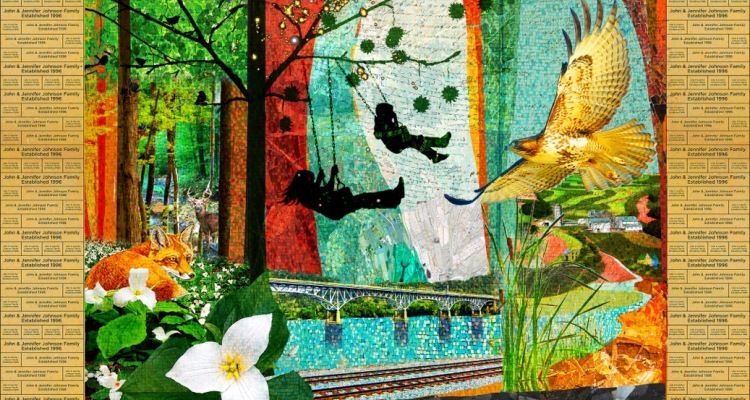 Ceramic tile mural will be focal point of Lauri Ann West Community Center. Artist: Betsy Schulz. 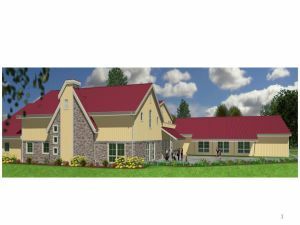 A new community center is coming to the neighborhoods of Aspinwall, Blawnox, Fox Chapel, Indiana Twp., O’Hara Twp. and Sharpsburg. Its predecessor, the Boyd Community Center, is in the process of being strategically dissembled—to allow continued community use—while construction begins for its replacement, the Lauri Ann West Community Center. The 28,000-square-foot center will sit on 11 acres of flatland atop a steep hillside that shoots up from the banks of the Allegheny River. “This area used to be all farmland,” says Paul McComb, executive director of the Boyd/Lauri Ann West. RSSC Architecture of Wexford, led by RSSC principal and project architect Bruce Pollock, drew the plans for the building. From form to exterior to finish materials, the center will be typical of the agricultural style of the area. They wanted to “put history into the building,” says McComb. The exterior will feature board-and-batten siding and ledgestone detailing for columns and around the entrances—even the color scheme harkens back to the area’s agricultural roots. It’s not all old school‚ though: the goal is to “remember the past while looking ahead to the future,” says McComb. The interior focuses on sustainable design in terms of its energy usage, durability of materials and maintenance costs. The current incarnation of the center——an elementary school built in the 1950s—is known for its classes. 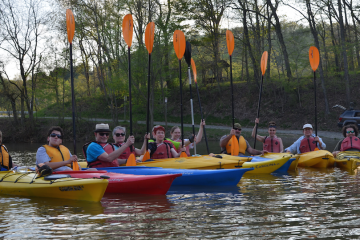 In 2013, the Boyd offered some 400 classes and camps that more than 3,000 community members attended. As demand for the community center’s classes increased, they outgrew their space. The Lauri Ann West Community Center, which honors the memory of Lauri Ann West, a student at the former elementary school who died unexpectedly as a child in the 1960s, will have four flexible program rooms for classes, a fitness facility, a child care center, dedicated art and dance studios, an elevated walking track, a regulation gym with seats, a cafe with Wifi, a large patio, a party room/performance space, and an after-school arts and enrichment zone. “Because of the funding, this will truly be a community center,” says McComb. More than 700 families, individuals, civic groups, foundations, and local businesses raised $6 million for the project—”about 70% of the funding,” says Pollock. The center’s partner, the township of O’Hara, kicked in the rest, some $2 million in the form of grants and matching donations—and even lent the project additional money to “get the shovels in the ground,” says McComb. AspinwallBlawnoxBoyd Community CenterLauri Ann West Community CenterO'hara Twp.